With growing popularity, vintage and rustic decor has become a must-have for many couples, and at the top of their wish list? A barnboard backdrop. 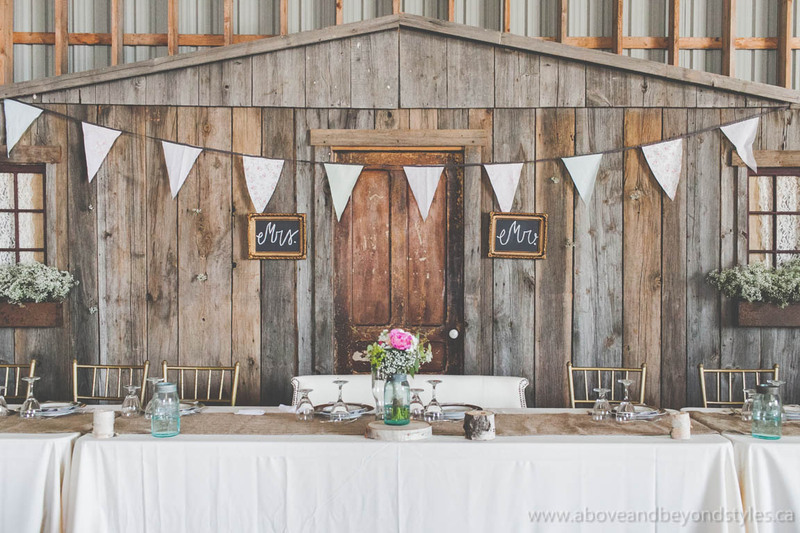 Above & Beyond has two different barnboard backdrops to achieve this look, both of which are very popular. The first is the “Vintage Teahouse,” and is suitable for all vintage designs. This backdrop adds charm and romance to any style, and is a great foundation for other elegant pieces. 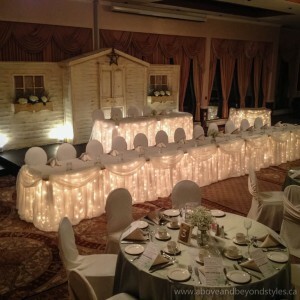 From classic vintage to rustic romance, this versatile backdrop will leave your guests in awe. 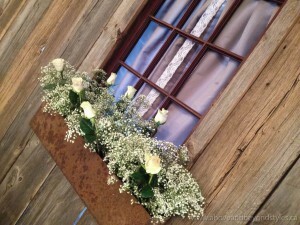 The second, our “Rustic Barnboard Backdrop,” is often used for a country theme. However, it can be easily accessorized for a vintage feel as well. 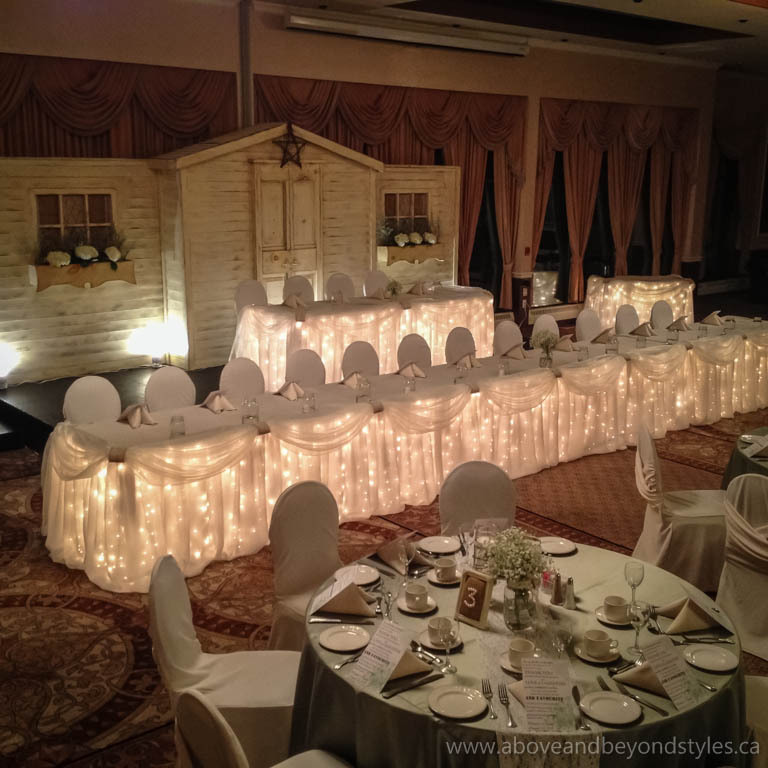 Whether your wedding is in a driving shed or a high-class hotel, this backdrop will create the style you have been dreaming of, and will wow your guests with its stunning rustic romance. Both backdrops have window sill flower boxes that can be personalized and individually designed for every couple, and to suit any style. In addition to decorating the window sills, each backdrop can also be accessorized with stars, flags, fabric or anything else you can imagine. With these small changes, we can personalize every backdrop we create to match your theme and vision. 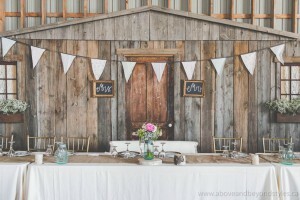 Give us the opportunity to design the barnboard backdrop of your dreams and you will not be disappointed! Visit our gallery for more rustic decor ideas, and contact us to help bring your vintage vision to life!